The symbolic importance of Barack Obama's election is without question. But beyond symbolism, does the election of African-American politicians matter? 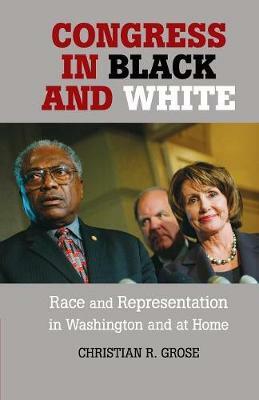 Grose argues that it does and presents a unified theory of representation. Electing African-American legislators yields more federal dollars and congressional attention directed toward African-American voters. However, race and affirmative action gerrymandering have no impact on public policy passed in Congress. Grose is the first to examine a natural experiment and exceptional moment in history in which black legislators - especially in the U.S. South - represented districts with a majority of white constituents. This is the first systematic examination of the effect of a legislator's race above and beyond the effect of constituency racial characteristics. Grose offers policy prescriptions, including the suggestion that voting rights advocates, the courts, and redistricters draw 'black decisive districts', electorally competitive districts that are likely to elect African Americans.